This year our family is focusing on the Articles of Faith and memorizing all 13 of them. We print out the following cards, slap some tape on them, and put them in a place where the whole family can see them! We switch out the cards as we all pass them off and we've found it's a great way to achieve this goal together! 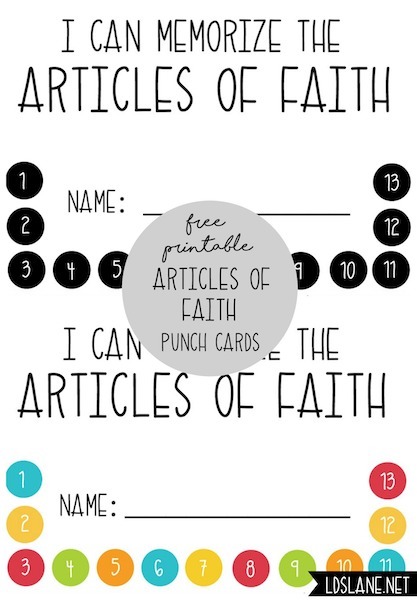 You might also be interested in these free printable Articles of Faith punch cards. They're a great motivator for the kids! I love this, thanks! 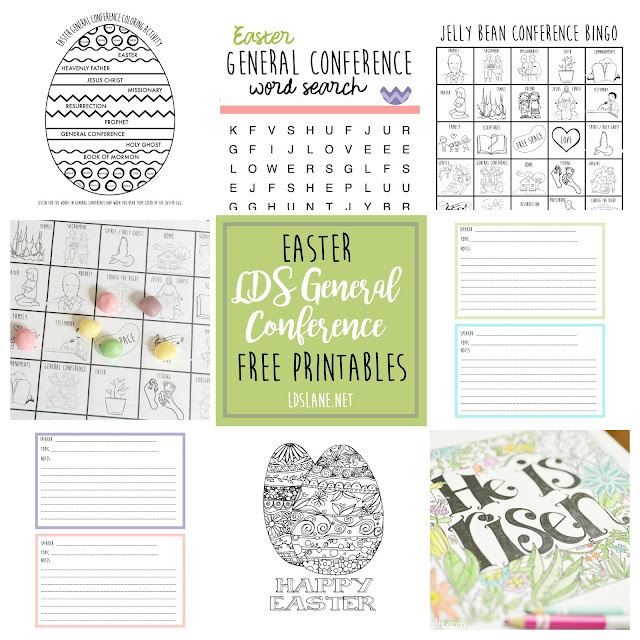 I just came across this site and love it! 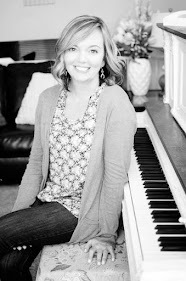 I saw your picture and told my husband "That looks like Kari from UCreate, does she have another blog?" I look forward to looking through all the fun ideas as I have just been called to Activity Days. Thank you! Strike that previous comment, I found it!!! Thanks, these are wonderful!!!! Please correct number 4! "for the gift" not "of the gift"